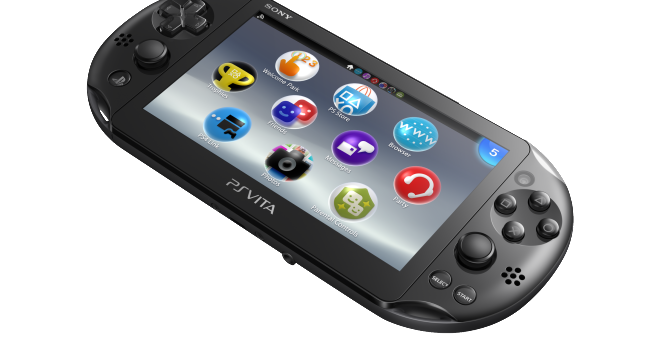 Sony To Release PS Vita Slim To The UK Next Week: What About US? In a shocking move that came to a surprise to absolutely no one, Sony has announced that the revision to their struggling handheld, The PlayStation Vita Slim will be released to the UK a week from today. Now, for the benefit of the uninformed you might wonder what’s the difference as I say if you have one already, why do you care? The difference besides the blatantly obvious lower price tag, the handheld will feature a 20 percent slimmer body, a 6-hour battery life, rounded edges, and 1GB of internal storage. One minor issue is that the screen will be LED as opposed to the OG Vita’s OLED screen. The purpose of this downgrade is for the benefit of the battery along the lines of Nintendo’s inferior console hardware for the benefits of supporting backwards compatibility. The price point will be £180/180 euros which is like $300 in dollars. Now, where is our PS Vita Slim, Sony. Is it because you only want to release the Vita Slim in Japan and Europe since those two countries are buying your handheld while the system struggles here in the US? In my opinion the lower price tag will completely negate one negative issue I made on my recent list about the Vita. I figure the minor price tag will justify the lack of games on the system.